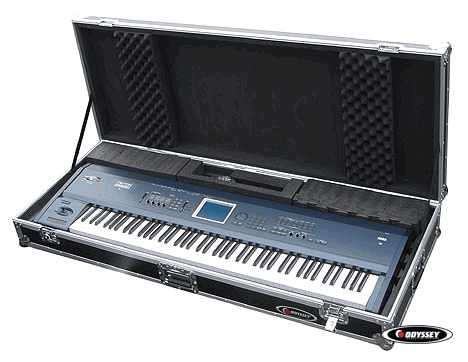 Odyssey FZKB88W Keyboard Case DJParts - All Variety of Parts that DJ Needs. The super rugged ATA 88-note Keyboard Case features heavy duty hardware and interlocking memory foam on the interior, customizable for your keyboard. Includes a spring loaded handle and wheels for easy transport. Interior dimensions are from wall to wall without z-lock foam inserts or velcro-attached foam. 4" bottom base plus 3" top lid for a total of 7" interior height.